2. Select your favorite pepper(s), including Hot or sweet, including chiles, jalapeno, and pimiento. Place peppers in a hot oven (400° F) or broiler for 6-8 minutes until skins blister. Cover hot burner, either gas or electric, with heavy wire mesh. 4. Allow peppers to cool. Place in a pan and cover with a damp cloth. This will make peeling the peppers easier. 5. After several minutes, peel each pepper. Flatten whole peppers. 6. Add 1/2 teaspoon of salt to each pint jar, if desired. 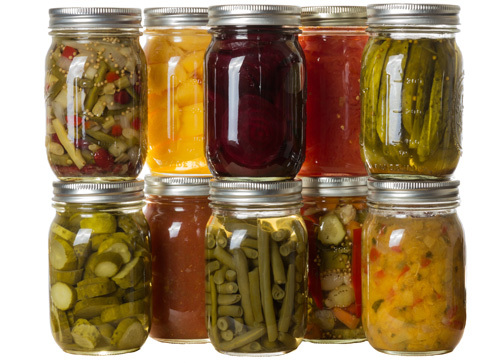 Fill jars loosely with peppers and add fresh boiled water, leaving 1-inch headspace.